Atlas can increase his size and physical strength at will. Secondary sources mention that growing to the largest sizes diminish his agility and speed. But no such effect was actually evident – it was textbook DC Heroes RPG Growth. As often with Growth character, Atlas’s size was difficult to determine. But he could make his hands much larger than a person. He also could grow tall enough to reach the mid- to upper floors of a high-rise building. 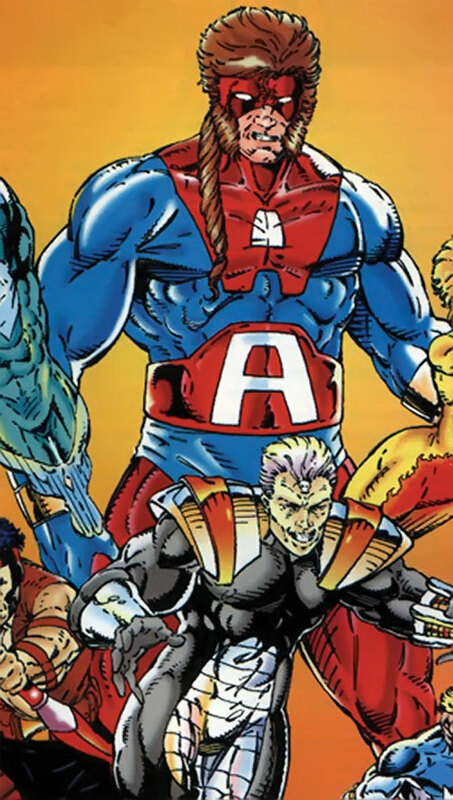 Atlas was recruited by Battlestone and Kayo some time after they recruited Seahawk and Coldsnap. They were building a group of costumed superhumans to rival Youngblood. This team was called Brigade, and started establishing a bit of a reputation. Their second documented case saw them pitted against a powerful extraterrestrial warrior called Genocide. He wanted to see if Brigade’s power challenged his. Brigade ended up on Genocide’s home planet, called D’vor. There they struggled against his troops and the local powers that be. They also allied with local superhumans. Eventually, Brigade clashed with Genocide again in a fight to the finish. 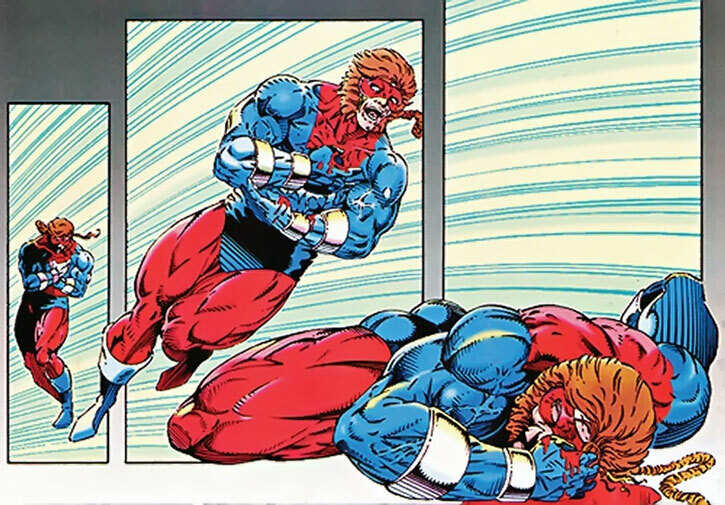 But a blast from the villain, intended to kill the invulnerable Battlestone, blew through Atlas’ chest. Battlestone wanted Brigade’s achievements to honour the early, needless death of Atlas. But that never worked out. Brigade’s career was mired in failure and mistakes. Though they won most of their battles, the group never amounted to much. He may have been British (or Irish, or Australian…). He generally seemed to be a reasonable and level-headed fellow. He can be used in any campaign without much of a problem. Battlestone should probably be linked with the Titans somehow. 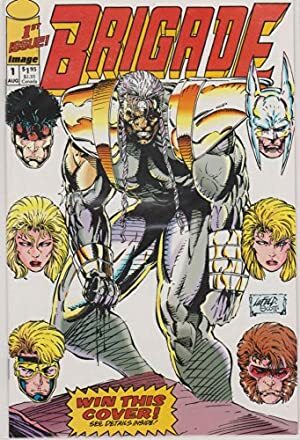 Perhaps he used to be the Ravager (Deathstroke the Terminator’s son), who was killed in action but resurrected by a shadowy government initiative. The creation of the superhuman Brigade might thus be an attempt to create an anti-team opposing the Titans. The aim would be to demonstrate that they are better and more powerful than them. 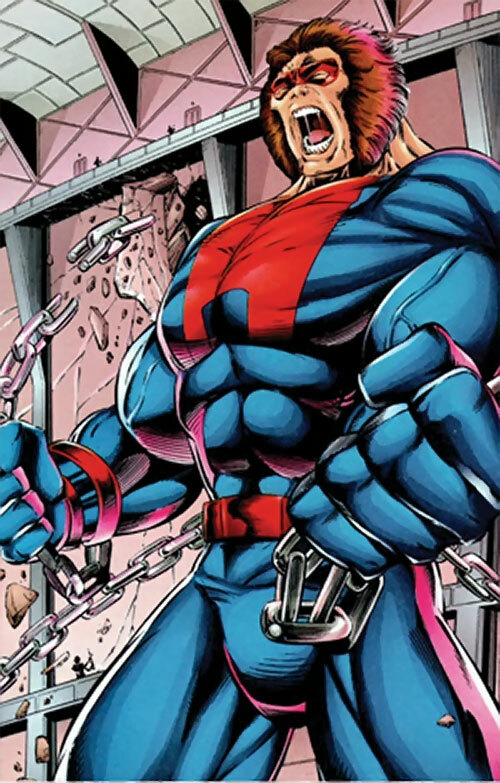 Battlestone would attempt to demonstrate that his ideas about how the Titans should be run are superior to Nightwing’s.